The Field & Field McGilchrist 4 day course about Iain’s book, The Master and his Emissary. The Divided Brain and the Making of the Western World, is a very rich experience. Not only do we hear Iain McGilchrist speak twice a day, but we are also offered a range of optional workshops. This time (I have attended this course twice before) the workshops were designed to stimulate auditory, visual and kinaesthetic learning and thinking, so we were offered workshops which focused on drawing, listening to music and embodied learning, in this case Tai Chi. We were also offered the opportunity to listen to speakers who, for personal reasons, have found that Iain McGilchrist’s writing on the Divided Brain – resonates with their practice. Bonita is a passionate speaker, and it was, I think, impossible not to be inspired by her story. Here is a woman who at the age of 20, whilst at University, happened to attend a lecture by two men who had climbed Everest. In that moment she decided that she also wanted to climb Everest, despite never having done any mountaineering before. A lot of things fell into place for her. The two lecturers responded to her email in which she wrote that this was what she wanted to do and asked for advice. Ultimately these men became her climbing partners, and she finally, after a great deal of effort, hard work and persistence got the funding she needed for the Everest expedition. Two years later at the age of 22 she climbed Everest. In her talk she told us about her climb, how she prepared for it, how she experienced it and what that experience now means to her. But most importantly, in terms of the course, we could see how her experience resonated with Iain McGilchrist’s writing on how in optimal circumstances, the right and left hemispheres work together. Bonita showed us wonderful photos of her climb and described her feelings on standing on the top of the world and at seeing a sky full of stars with no light pollution. In her words, ‘the world comes to meet you’ and she described seeing the curvature of the Earth. These seem to me to be statements that come from the right hemisphere, an appreciation of the ‘whole’ as opposed to the parts. But one the most interesting parts of her talk was how focussed she had to be on taking the first step when she was afraid. 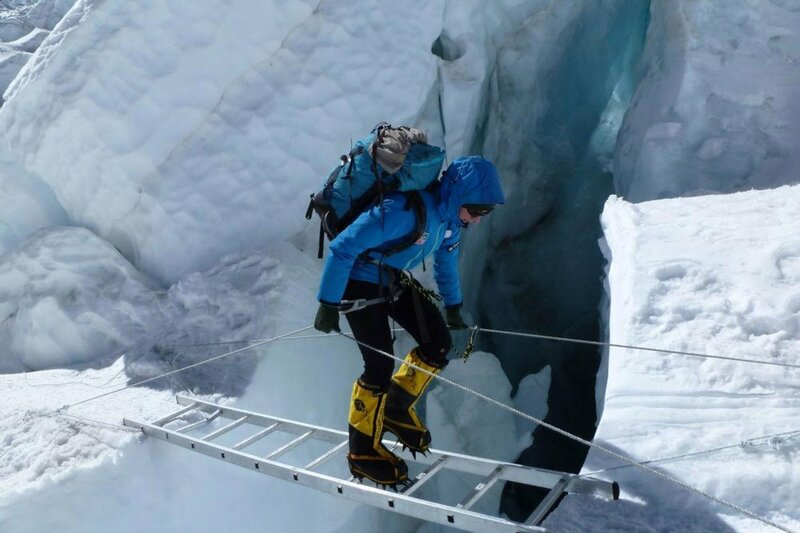 She described a point at which, when having to cross a crevasse by walking over a ladder, she was so afraid of taking the first step that she held up her team on the freezing slopes of Everest for 20 minutes. Two things come out of this. First that she did take that first step and then the following steps were easier. Secondly that her team understood and supported her through this process saying that they had also experienced this paralysis in relation to taking a first step. Here are some of the inspiring things that Bonita said during her talk. ‘There was no logic or reason for wanting to climb Everest. I just had to do it.’ ‘I can’t articulate why I wanted to do this’. Everest was where she put her attention. ‘My imagination is the biggest mountain I’m trying to climb’. ‘The big picture can be paralysing/overwhelming. Focus down to one step’. ‘Nature can heal you in your lowest moments.’ (NB – Nature – not environment. Iain McGilchrist distinguishes between the two). Next Article There are No Things. There are patterns.